People hire people that they like. Hiring the wrong person is an expensive mistake. HR tries to keep biases out of the hiring process, but let’s be honest— if you come across as aloof, arrogant or a bully— you probably won’t get the job. Employers are often more focused on hiring someone they would like to hang out with than they are on finding the person who can best do the job, suggests a study in the December 2012 issue of the American Sociological Review. In fact, according to research by Monster, job applicants have on average just 6 minutes 25 seconds during the first meeting to impress interviewers. 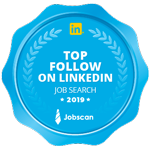 A Robert Half International (RHI) survey of 150 senior executives at the nation's 1,000 largest companies, hiring managers form either a positive or negative opinion of job candidates within just 10 minutes. This research demonstrates the importance of building initial rapport with the recruiter or hiring manager. This means that your personal presentation, the small talk you make, and your response to the typical first interview question, "Tell me about yourself," really matters. Dec 14 Ignore the One-Page resume "rule"